Bonjour lecteurs and happy Sunday! Well, the weekend is almost over but we are ending it well with a cute giveaway that I think you will like 🙂 And because we want to make sure you win something pretty fabulous, we tested it before for you! Baba was very happy to help! So if you are going through weaning or if your little one is eager to be an independent soul, read on! 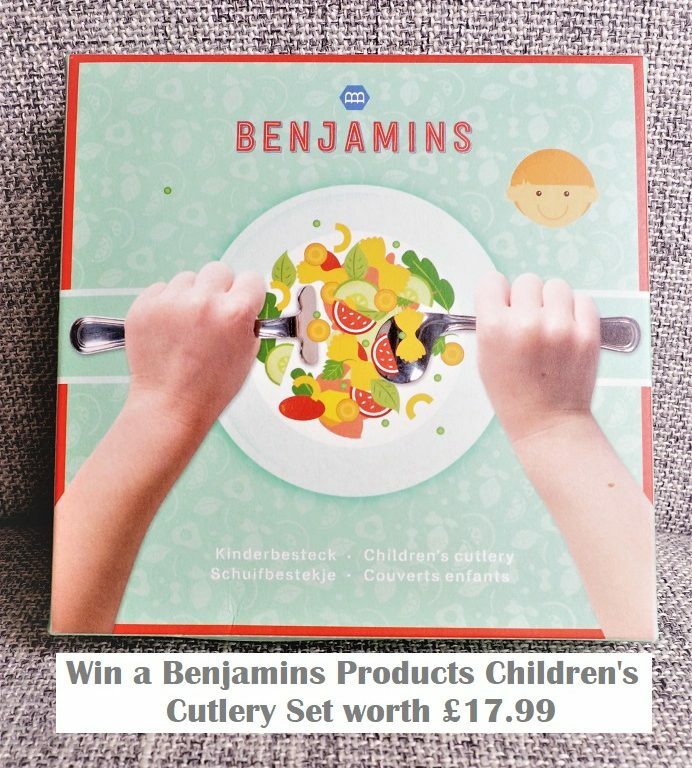 Our Benjamins Products Children’s Cutlery Set Review will give you the chance to win one set too worth £17.99! This Pusher & Spoon Set is aimed at children aged 12+ month. So if you have well established the weaning stage and your little one is ready to try cutlery on their own, this product has been created to help! Lightweight for a better grip, the ergonomic design is pretty cool and you can say for sure that it is totally unique. Available for both left and right-handed little ones, the Benjamins Cutlery Set has been nominated for the Baby Innovation Awards 2017. It comes in a cute box and it is specially created so that a 1-year-old can hold it with ease. I was surprised to see how light the pusher and the spoon were! The shapes are a bit odd but so well-thought. It is definitely the kind of instruments that a toddler needs when they get used to cutlery. The pusher is really helpful while the form of the spoon a bit oval means you can get in some food without too much effort! As soon as I put it on the table, Baba grabbed it and started using it immediately. He did not even think about it. It looked really straightforward. I know that he is a bit older than 1 but it was good to see him using cutlery with so much confidence. He has never been fussy with spoons and forks really but this set is particularly comfy to hold, so it helps the toddler to get started! Another thing I really like is the fact that there is nothing sharp. I was always a bit reluctant to give Baba a fork as I was too scared that he would hurt himself. So the Benjamins Products Children’s Cutlery Set is a really safe way to start the whole eating on their own process! It’s a great asset for self-feeding! If like us, you like innovative baby products, the Benjamins Products Children’s Cutlery Set is a great item to add on your list! We really like the look of this set. It helps children from an early age to get confident at eating on their own without too much fuss. 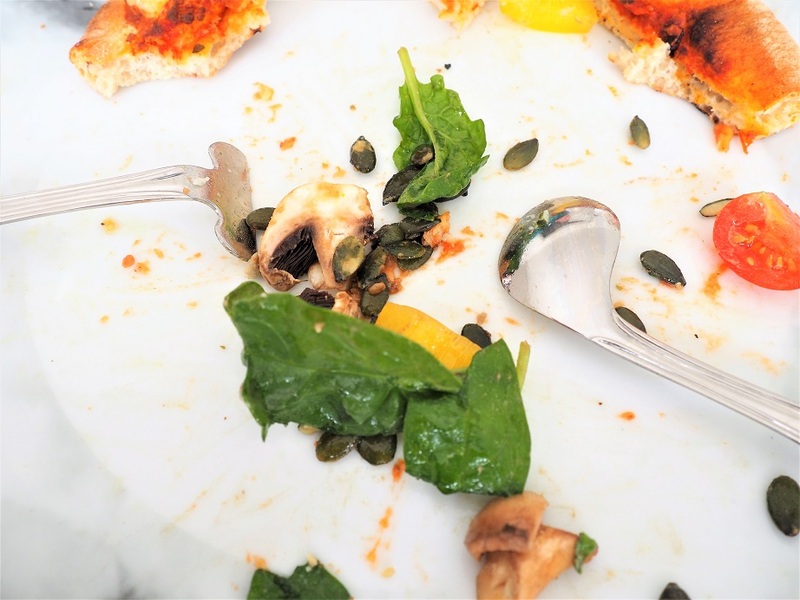 The spoon catches quite a lot of food so it becomes a less messy business while the pusher is safer than a classique fork. When you have dinner like a gourmet at two! It’s a great set and I wish I had something like that when Baba started eating independently! It feels simple and yet it is so natural! Plus it is unique so we like that too! Such a cool confidence builder that also looks a bit funky! 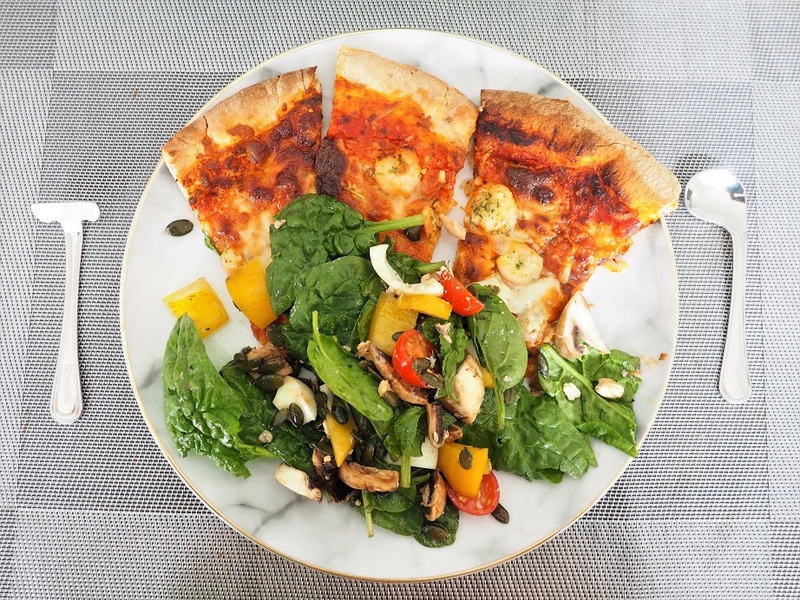 Is your little one eager to eat independently? Or do you fancy a cool cutlery set to develop their eating skills? Then enter our new giveaway now via Gleam to win a Benjamins Products Children’s Cutlery Set worth £17.99! 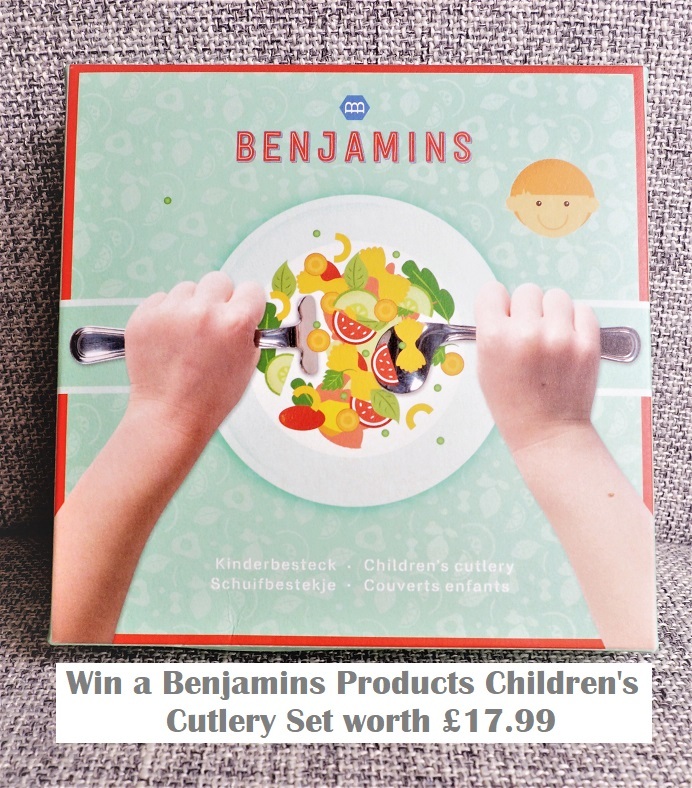 Win a Benjamins Products Children’s Cutlery Set worth £17.99! This giveaway starts on Sunday the 12th of August at 5 pm and ends at midnight on the 12th of September. Provision of the prize is the responsibility of Benjamins. Frenchie Mummy can’t be held responsible. 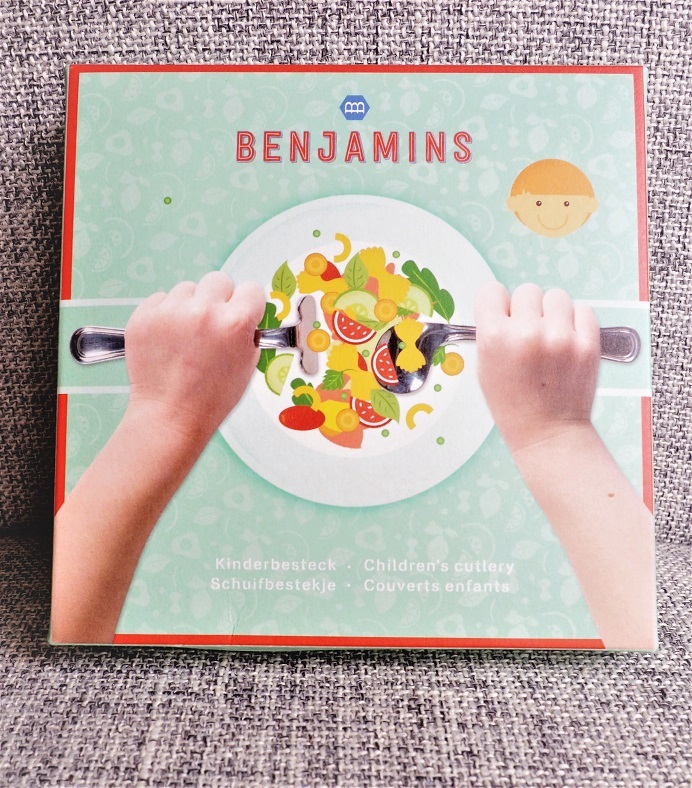 Merci for reading our Benjamins Products Children’s Cutlery Set Review! Disclosure: We received for free a Benjamins Products Children’s Cutlery Set to test. All opinions are our own. very well designed , ideal for toddlers learning how to use cutlery, brilliant prize thanks! It is adorable and my daughter would love it! They look like a great way to introduce children to cutlery! It’s lovely and it’s ideal for toddlers learning how to use cutlery. I have a set very similar to this one that was my Grandads when he was a toddler. What comes around…..
It’s a very nifty idea! I don’t have any kids so don’t understand the difficulties for them learning to feed themselves. But it is a fab prize nevertheless. I think this is such a great idea for children. Looks strange but if they help to get used to cutlery OK. The shape of these has me intrigued, I really like the idea of the “pusher” ! This looks great and fab for my young daughter! Such a great idea! Confidence building is so important when little ones are learning to be independent, so this really interests me. My little boy is just starting to show an interest in cutlery – a special set like this would be great for him. Well, if it really works then it is genius. I have never seen anything like this before – what a great idea! Such a good go between baby and using a proper knife, spoon and fork. Well designed. This is a great idea for teaching kids how to use cutlery properly. My twin girls really struggle with cutlery so this seems a great idea. I think this lovely set is the perfect size and design for helping little ones use a knife and fork!